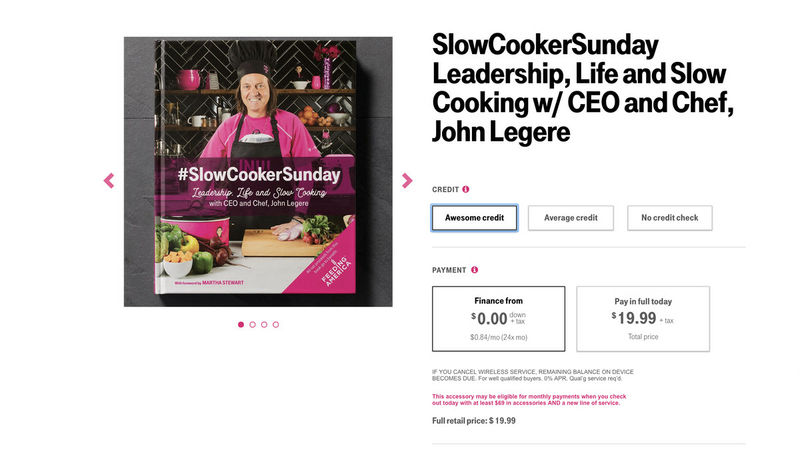 The book will cost $19.99, and T-Mobile will donate the net proceeds from the sales to Feeding America, a nonprofit network of food banks. 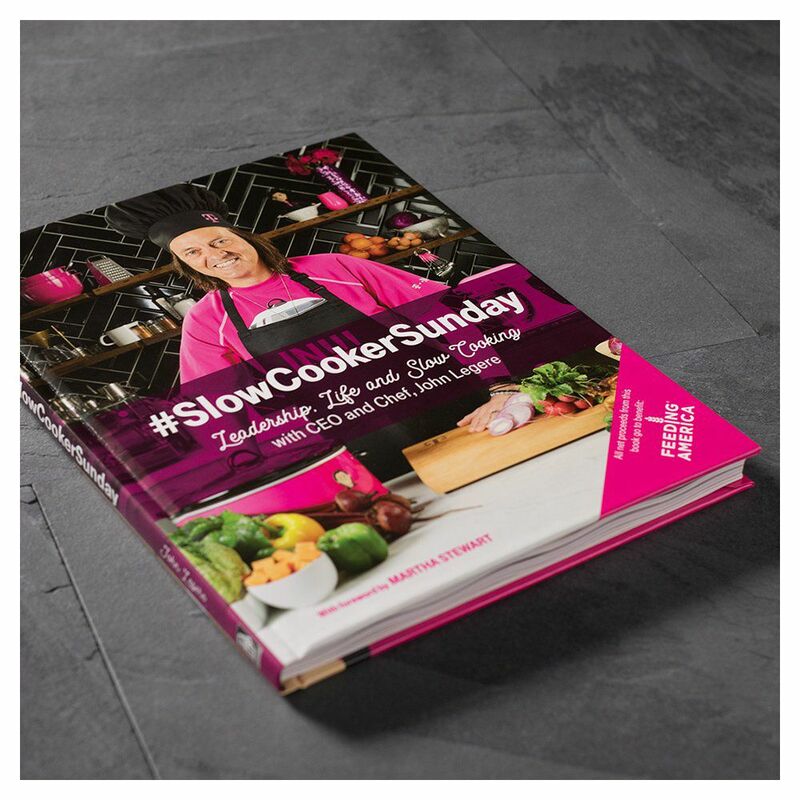 In an amusing bug, T-Mobile’s website is currently selling #SlowCookerSunday – Leadership, Life and Slow Cooking with CEO and Chef, John Legere online using the same sales software it uses to sell any of its other hardware, meaning that its current showing financing options to pay it off in 24 monthly payments of $0.84 (plus tax), although the company is apparently already working to correct the issue. 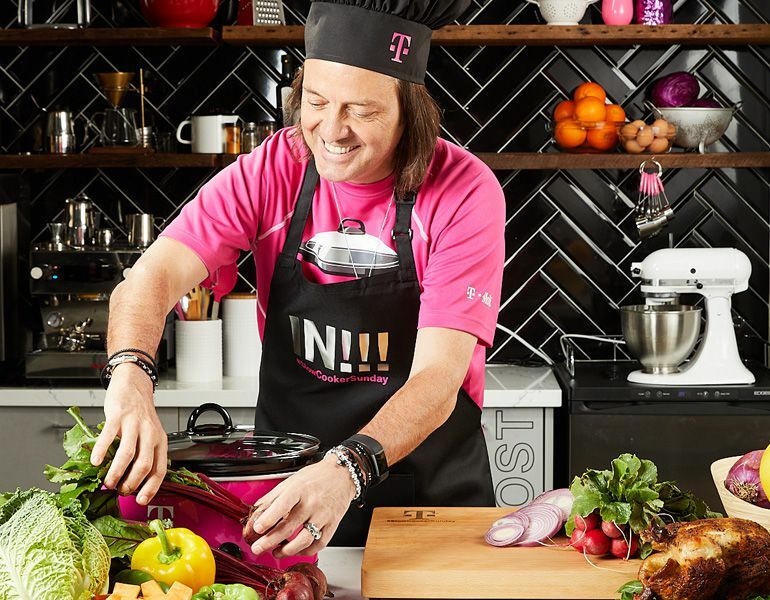 (Meaning that sadly, you’ll have to pay the full $19.99 upfront). 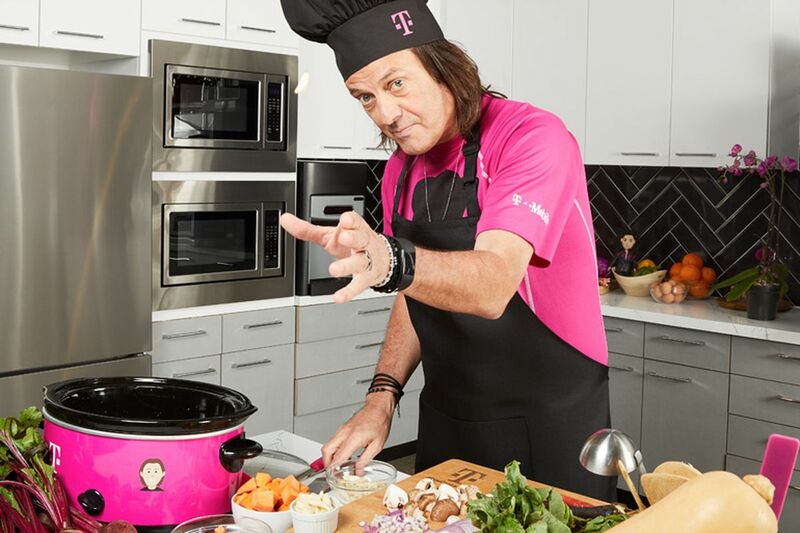 Update December 6th, 12:00pm: T-Mobile has clarifiied that the offer to buy #SlowCookerSunday – Leadership, Life and Slow Cooking with CEO and Chef, John Legerethrough an equipment plan is a bug with its website that should be fixed soon.